Here's the Round-Up for June 16th, such as it is. As of 10:00 PM EDT, there is still only one lonely submission. If anyone else has anything to add, go ahead and put your link in the comments on Saturday, and I'll add it! 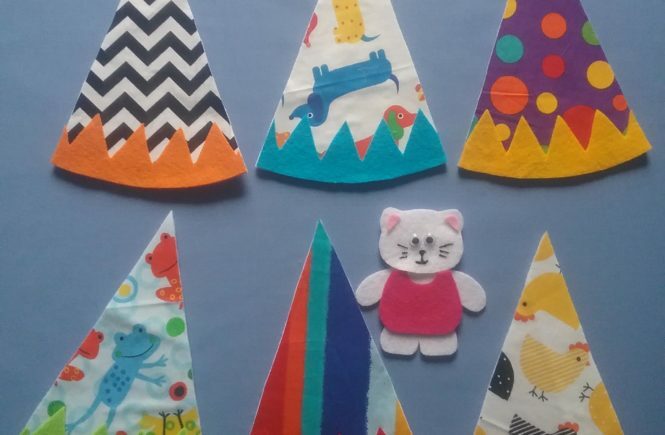 Kate of "Felt Board Magic" has our lone submission for this week with a "Kitty Cat, Kitty Cat" party hat hide-and-seek game, presumably inspired by the ever-popular "Little Mouse" game. This could be used to discuss colors and patterns, and would fit with a variety of themes, such as cats, birthdays, parties, hats, colors, etc. There is also a link to purchase the pattern if you need one. Visit the Flannel Friday Pinterest Board for past Round-Up's and tons of inspiration. For more information about Flannel Friday and how to participate, visit the Flannel Friday site.